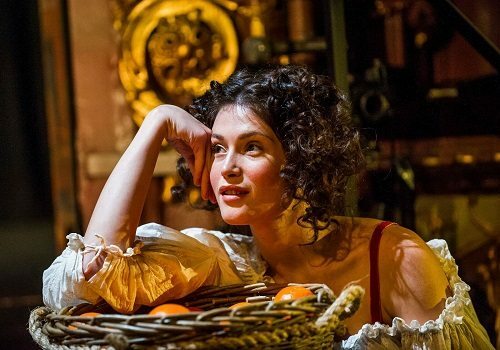 Shakespeare's Globe’s recent rip-roaring restoration play Nell Gwynn transfers to the Apollo Theatre in February 2016, starring celebrated stage and screen actress Gemma Arterton. 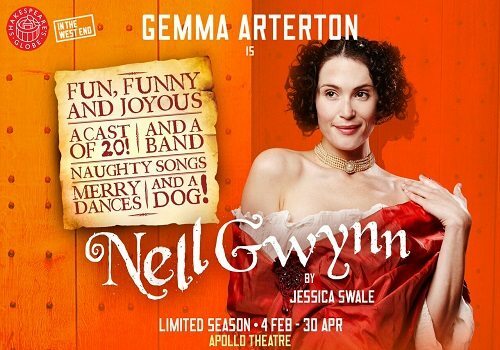 Written by Jessica Swale and directed by Christopher Luscombe, the play charts the journey of the real, vivacious Nell Gwynn from orange-seller to Britain’s finest actress, not to mention becoming the favoured mistress of King Charles II on the way. Nell Gwynn opened at Shakespeare’s Globe in September to wide critical acclaim, starring Gugu Mbatha-Raw in the title role. Gemma Arterton takes over the role in the transfer, in what will be her first stage appearance since Made in Dagenham in early 2015, which earned her the Evening Standard Theatre Award for Best Newcomer in a Musical. Set in 1660, Charles II has been restored to the throne, bringing with him a revolution of liveliness and merriment that had long been gone in England. With a love of France and all its raunchy accompaniments, he becomes enraptured with the charming and spirited Nell Gwynn, who became the first and most acclaimed woman to appear onstage. Gemma Arterton is a RADA-trained actress, well-known for her appearances on screen, with credits including St Trinians, The Quantum of Solace and Tamara Drewe. Nell Gwynn marks her third outing with Shakespeare’s Globe, after appearing as Rosaline in their 2007 version of Love’s Labour’s Lost as well as the title role in The Duchess of Malfi at the Sam Wanamaker Playhouse in 2014. Additional cast members include Michele Dotrice as Nancy, Michael Garner as Thomas Killigrew, Greg Haist as Edward Kynaston, Peter McGovern as Ned Spigget, David Rintoul as Lord Arlington, Anneika Rose as Rose Gwynn, Nicholas Shaw as John Dryden, David Sturzaker as Charles II, Jay Taylor as Charles Hart, Sasha Waddell as Lady Castlemaine/Louise de Keroualle and Sarah Woodward as Old Ma Gwynn/Queen Catherine. Ensemble members include Paige Carter, Matthew Durkan, George Lennings and Ellie Leah. 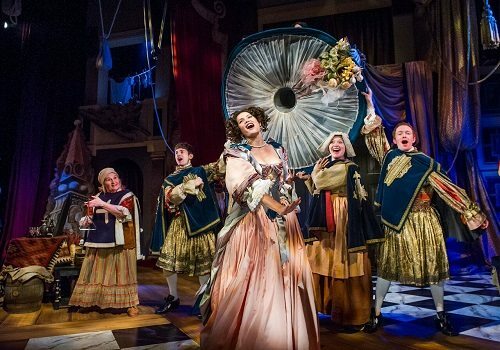 After a sell-out season at the Globe, Nell Gwynn promises to be a hugely entertaining, theatrical highlight. Previews begin at the Apollo Theatre from February 4th and the production officially opens February 12th 2016. Click here for the Apollo Theatre seating chart and seat price guide.